Create videos of Mandelbrot and Julia fractals. Is there a better alternative to Video Fractal? Is Video Fractal really the best app in Video category? Will Video Fractal work good on macOS 10.13.4? Video Fractal is a powerful tool for creating breathtaking videos of the Mandelbrot and Julia sets. The 2D view allows for easy surveying and key framing, and the custom script editor can be used to fine tune each video. Export MPEG-4 videos up to 4096 x 2048 resolution with up to 240 fps and 24 hour lengths using the state-of-the-art ffmpeg library. 2D still exports are also available while the 3D view captures spectacular images that can be exported at up to 16 megapixel resolution. Video Fractal needs a rating. Be the first to rate this app and get the discussion started! Multi-processor support and an OpenGL powered renderer allow for blazing fast speed. With double precision 64-bit mathematics, Fractal 3D is capable of resolving detailed images up to an incredible 1,000,000,000,000x magnification level! To give perspective, a single atom of carbon magnified one trillion times would be longer than two football fields. Each fractal is fully customizable and changes in real time. 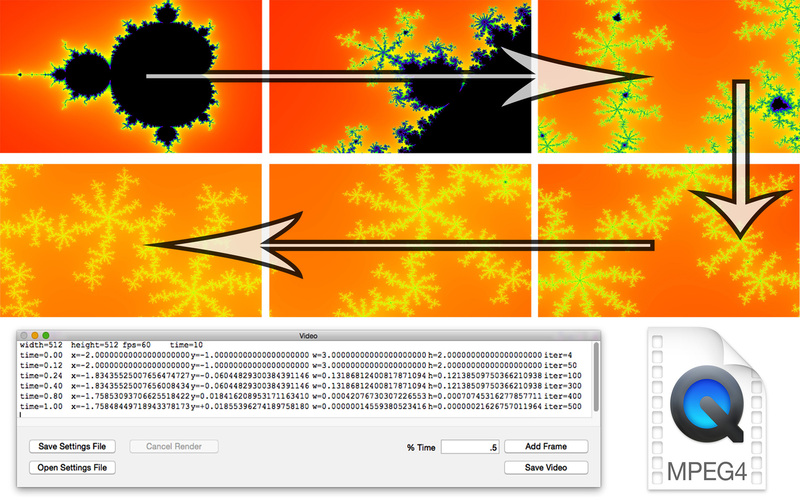 First adjust the fractal set type, equation power/ constants, iterations, resolution, color scheme, and smoothing options. Once the fractal is rendered it can be explored with intuitive panning and zooming controls. After a place of interest is found, customize the 3D view by rotating the fractal, moving the camera, and adjusting the lighting. Due to the nature of fractals, the number of unique patterns to be found is limitless. Use the rendered images for desktop wallpaper, printed artwork, or just enjoy the beauty of exploring one-of-a-kind images created by pure mathematics.